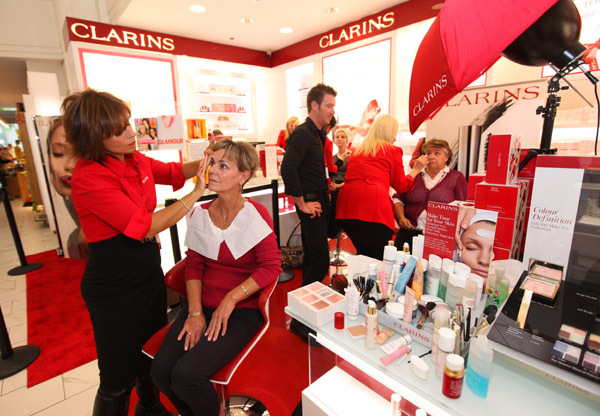 How to Get Clarins NEW Double Serum FREE! I have an incredible beauty deal you need to know about that starts at Macy’s today. 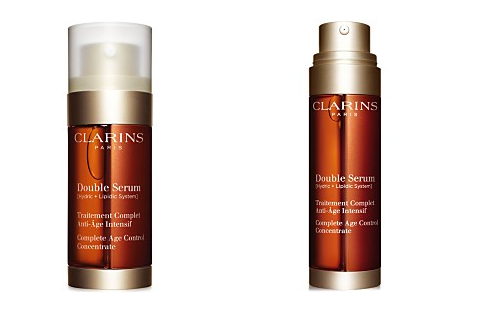 If you’re looking to try Clarins New Double Serum, I’m here to show you how…for free! From July 24-29, there is a special beauty buy going on at Macy’s. You’ll receive a FREE 7-Day trial of NEW! 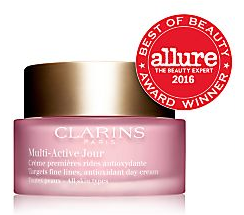 Clarins Double Serum with any moisturizer purchase. Clarins Double Serum is not cheap, but it is very effective. It comes in two sizes: 1 oz and 1.6 oz. The 1 oz is $89. The 1.6 oz is typically $142, but right now it’s only $119! So if you are going to purchase it, I recommend the 1.6 oz (plus, you get a free cosmetic bag with a $50 beauty order online). But if that’s still too steep of a price, then I recommend going with a moisturizer purchase so you can receive your free 7 day supply. This antioxidant day cream targets fine lines, and who doesn’t need help with that? Plus, you always get free shipping and returns on ALL Macys.com beauty orders, so there’s no risk when you order. You may get 7 days of Clarins Double Serum for free with this beauty deal, but you only have a few days to take advantage of this offer, so don’t delay!